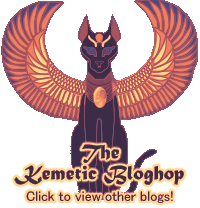 How do you celebrate Festivals and Holidays the Kemetic way? My style of celebration is best described as “casual”. 😅 What I do will depend on what festival I’m celebrating and how important it is in my personal practice (or the State religion). For your average holiday, my go-to is making a special offering in Senut to the gods in festival. For instance: we have the solstice festival of She-is-led-back, or Intues, this season. 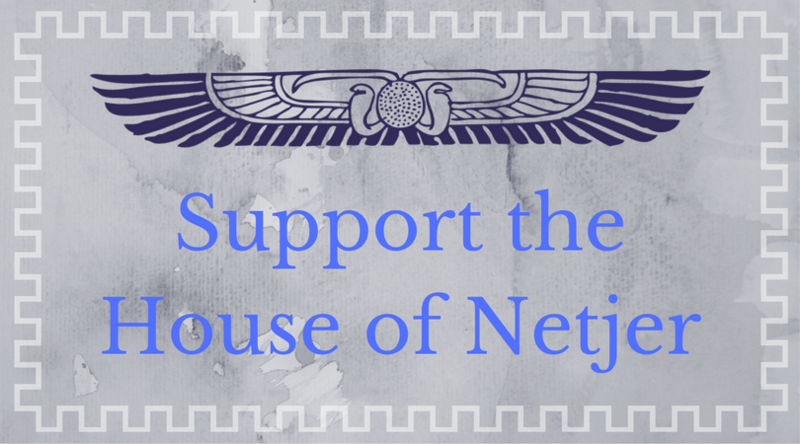 I celebrated with the House of Netjer through the simulcast ritual led via IRC; I offered Hethert a glass of milk and a raspberry chocolate cookie. That’s all! For something more elaborate, like a festival of one of my Parents, I will spend more time in shrine, and will make more elaborate offerings. One festival I offered a bouquet of flowers, a bottle of wine, and a plate of gourmet chocolates. Even though the offerings are more elaborate, it still fits the same format: offerings and shrine time. Occasionally, when I am able, I will celebrate with other Kemetics. When this happens, the celebrations vary depending on the festival. I’ve participated in overnight vigils for the Mysteries of Wesir, sunrise rituals for Wep Ronpet, paper-boat-making and candle-lighting for Aset Webenut, and more. Even non-Kemetic holidays can take on a Kemetic spirit. For example: my ancestors would have celebrated Christmas, and I spend the 25th of December celebrating with family who still observe the holiday. I spend the day reflecting on family and my Akhu, and make offerings to my ancestors in honor of their traditions. If I have to go to church, or engage with any non-Kemetic religious practice, I take the opportunity to reflect on my Akhu and meditate on their role in my life. I’ve learned that celebrations don’t need to be elaborate to be satisfying — especially when celebrating on my own. A little quality time and a special gift for the gods goes a long way. I really love the simplicity of this~ and the fact of still acknowledging other festivals for your Akhu, even if it doesn’t directly apply to yourself.